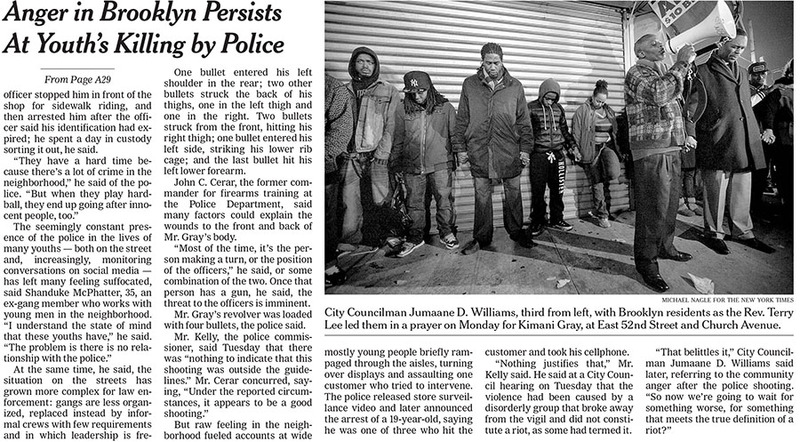 This entry was posted in Brooklyn, Cover, Crime, New York, The New York Times and tagged Arrest, City Councilman Jumaane D. Williams, J. David Goodman, Kimani Gray, Memorial, NYPD, Rev. 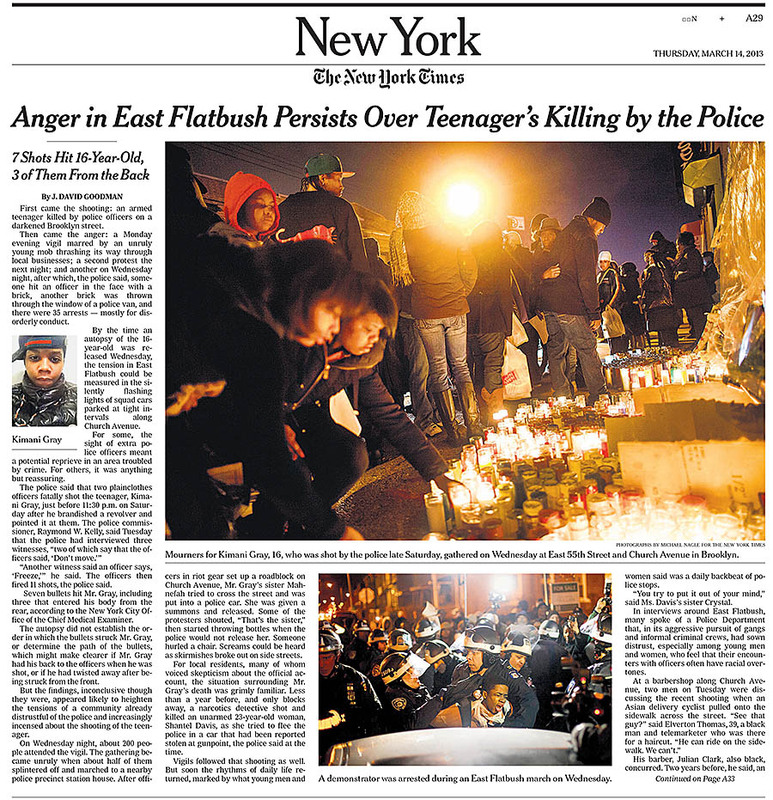 Terry Lee, Shooting, Vigil. Bookmark the permalink.